Signed for the 2007-08 season by Pertevniyal Istanbul, TBL2. Signed for the 2008-09 season by Darussafaka Istanbul, also playing with Pertevniyal. Played with Darussafaka also the 2009-10 championship. Signed for the 2011-12 season by Antalya BB. Signed for the 2012-13 season by Erdermispor. 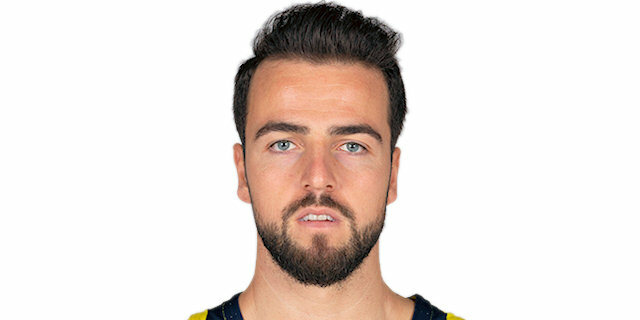 Signed for the 2013-14 season by Fenerbahce Istanbul. Won the 2013-14, 2015-16, 2016-17 and 2017-18 Turkish National Championship with Fenerbahce Istanbul. Won the 2013 and 2016 Turkish President Cup with Fenerbahce Ulker Istanbul. Won the 2017 Turkish All Star Game 3-Point Contest. Has been member of the Turkish U-16, U-18, U-20 and University National Team. Played at the 2007 and 2008 European U-18 Championships.